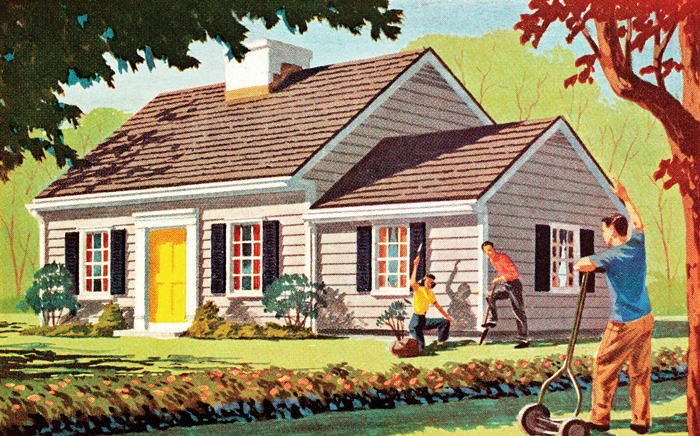 Few of us buy homes based on whether we’ll enjoy the regular company of our next door neighbors. In fact, research indicates fewer than half of us even know our close neighbors by name. And State Farm’s “State of American Neighbors” survey found that while a whopping 83 percent of us say we’d be willing to help a neighbor in need, 60 percent have complaints about our current neighbors. 1. Pull your neighbor’s weeds, or shovel her walk. 2. Show interest in your neighbor’s family, pets and landscaping. 3. Apologize if your child or pet missteps. 4. Turn off the TV and sit on your front stoop. 5. Put up a swing in the front yard. 6. Bring a loaf of banana bread to the notoriously “difficult” neighbor. 7. Walk with your head up and greet people. 9. Fix it, even if you didn’t break it. 10. Volunteer at the neighborhood school, library or community center. Make contact. It’s much easier to address future problems when you know your neighbors’ names and have had some friendly exchanges. Introduce yourself and your family to your neighbors next door, across the street and over the back fence. And if you’re new to the neighborhood, don’t wait for the welcome wagon. Take introductions into your own hands – and shake some hands! Apologize and atone when it’s “your bad.” A list of top neighbor nuisances includes out-of-control kids and pets, noise and poor property upkeep. If your child “accidentally” lobs a mud ball onto the neighbor’s patio, take your child to their door and offer to clean up the mess promptly. Address conflict directly. Professional mediator Stuart Watson advises, “Do not leave an anonymous note or talk to other neighbors about your frustration – this often fuels the conflict.” Too many people go straight to law enforcement, without attempting a discussion with the neighbor. This may or may not resolve the current problem, but it definitely decreases your chances of ever having a positive relationship with that neighbor. 1. Have a block party. 2. Create a babysitting exchange. 3. Develop an email group to share events, lost/found, services and freebies. Try nextdoor.com or frontdoorforum.com to get started. 4. Plant a community garden. 5. Have a potluck that encourages neighbors to sample many cuisines. Go not in anger. You’re leaving for work and see that your neighbor has left his garbage bin out overnight again, allowing the wind to scatter refuse all over the street. Avoid the impulse to bang on his door at 6:30 am, screaming about code violations. Wait until you can talk about it calmly at a time when he’s available. Don’t assume. Watson says, “Do not assume they know it is bothering you – approach them with curiosity.” Though your 4-year-old cowers every time your neighbor’s St. Bernard lopes into your yard, your neighbor may see the dog as nothing more than an affectionate fur ball. You can acknowledge the dog’s friendly nature, while gently reminding its owner of your child’s pint-size perspective. Be a part of the solution. When you’re willing to meet your neighbor halfway, it’s likely you’ll get better results. Offer to have your 4-year-old get better acquainted with the friendly St. Bernard while it’s on a leash. If your trash-strewing neighbor’s work hours make it difficult for him to curb his bin in the morning, offer to do it for him. Seek mediation. If you are unable to resolve a problem yourself, it’s worth enlisting a professional mediation service before going to law enforcement. Resolutions Northwest states that 80 percent of people who are asked to engage in mediation agree to try it, and that 94 percent of those who engage in mediation are happy with the outcome. In addition, mediation services are often offered free or at low-cost. Use law enforcement only as a last resort. Watson acknowledges that the police should be called “when there are threats to harm people or property…(and a) person’s safety is jeopardized.” Be sure to document any ongoing threats or dangerous illegal activity, and get other neighbors to band with you when possible. Buying a New Home? Research the Neighborhood! Physical characteristics. What’s the general state of upkeep of houses and grounds? Are the houses uniform in color with manicured lawns? Or are vibrant paint and quirky garden art more the norm? Traffic density and speed. How many cars are on the road on a weekday? A weekend? How fast are people driving? Are people riding bikes? Children and pets. Are there kids similar in age to your kids? Are there sidewalks? Do pets appear under control and well-cared for? Noise level. Do people pump up their music? Is there ambient freeway noise? Do residents start lawn care activities at 7 am or noon? Speak to residents. What do they love about the neighborhood? What annoys them?